Transcending Yonge Street and the subway north of St Clair, this old commuter rail bridge allows us to continue on the Beltline trail through the backyards of Toronto from its western beginnings at the Allen Road on through the Moore Park Ravine. 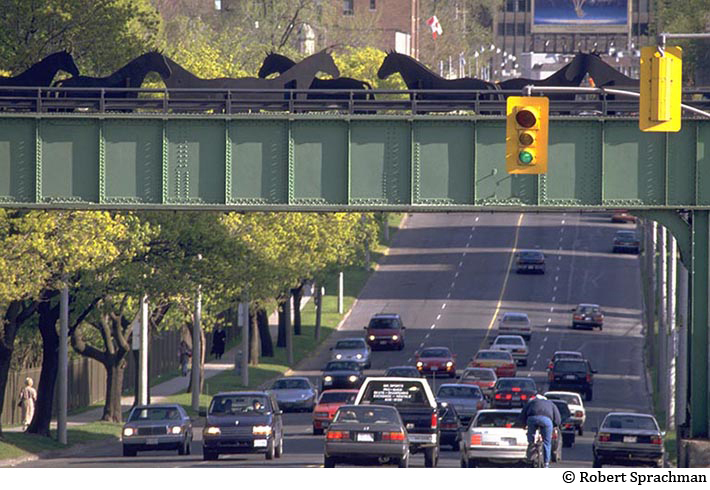 The bridge itself was much more beautiful and evocative for several years, when Robert Sprachman, a local artist installed a sculpture depicting horses in silhouette. Even now as I pass it I always picture the horses there in that empty space above the bridge, though they were removed years ago. And I’m not the only one. In the City’s consultation process on improving the belt line there were suggestions to bring the horses back. Don’t see that in the recommendations, though. The sculpture is called Iron Horse, reminding us of the locomotives which originally used the bridge. This is my idea of the perfect public art installation, and I am so sorry we lost it. The path itself transcends the hectic city as the bridge does the street. It is non-commercial space, without billboards or storefronts. Heavily treed, it passes in some places behind houses, giving a more intimate glimpse than one normally gets while out walking. 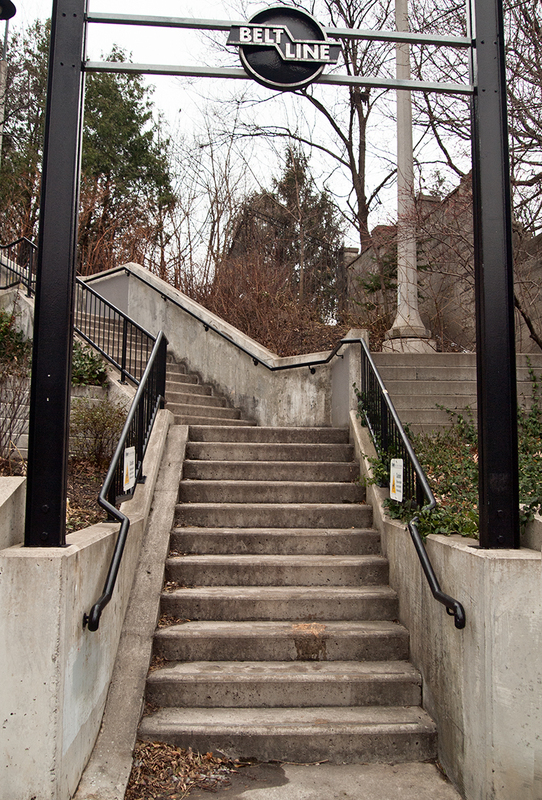 It follows the north edge of Mount Pleasant Cemetery, a veritable arboretum, and on into the ravine. Although for me it is never the shortest way home, I find this entrance irresistible and know the lush walk west is worth going out of my way for. Here for a while I am not a consumer but simply an inhabitant. Read more about the horses on the bridge here, look at the city’s study and plans for Beltline trail improvement here.